Will & Grace is back again … again! The reboot returns with Will and Jack wondering if maybe they might be soulmates. Chelsea Handler and Mary McCormack guest star Thursday at 9:30 p.m. Eastern on NBC. It’s time for a makeover on RuPaul’s Drag Race All Stars Friday at 8 p.m. Eastern on VH1. Catch up with our recaps, then watch the remaining queens beat the mug of their best Judy. Out filmmaker Leslye Headland brings the trippy, surreal, dark comedy Russian Doll to Netflix Friday. Natasha Lyonne stars and co-created the series alongside Headland and Amy Poehler. It follows Lyonne’s character as she relives the day she dies over and over. Get your hackles raised about the one-percent Friday on Amazon with Generation Wealth, a new doc that tries to figure out what’s driving our culture’s obsession with money — and what it’s actually costing us. Look, I’m no longer interested in any talent competition that doesn’t involve C-list celebs in elaborate costumes, but if you’re hankering for more undiscovered greats, check out The World’s Best Sunday at 10 p.m. Eastern (ish, it’s after the Super Bowl) on CBS. 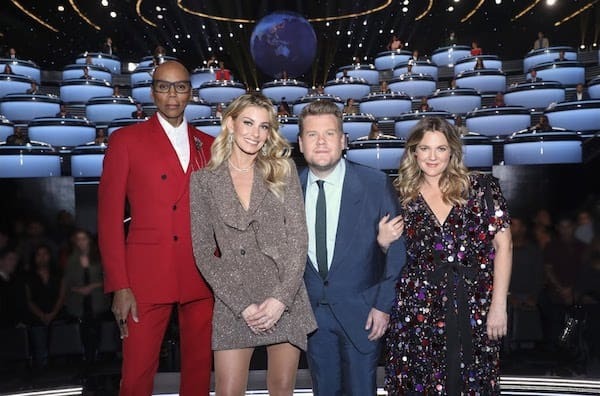 Judges include Drew Barrymore, Faith Hill and RuPaul.